Yes, I finished Jack’s sweater. But no, I did not finish my dress. Social engagements got into the way. And there’s good and bad news. First the bad news: Jack has a really bad cold and is absolutely miserable today, so we cancelled the photo session. The good news is that means I can finish my dress for next weekend’s photo appointment. Yeah! Jack’s sweater fits just ok. Even though I added 1.5 inches to the length, it’s still a little short. And it’s a little wide in the shoulders. But I am so over knitting this sweater that it will have to do. I will show you a picture of him in it later. The poor little guy is not up to any glamour shots today. I am planning to fix the bust problem by releasing the fisheye dart and lowering it. If that works, then I will just finish the hem, vent and hand sew the lining to the zipper tape. If not, then I will undo the side seams and lower the bust dart, but I think the fisheye dart alteration will do the trick. I hope you all get a chance to sew or knit today. 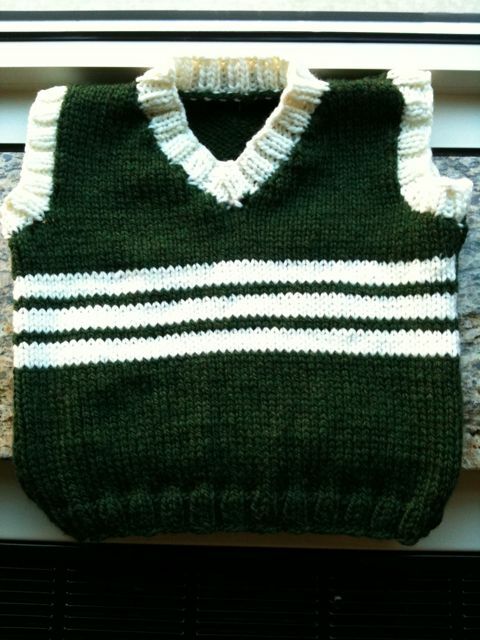 This entry was posted in Crafting for others, Knitting, Sweaters. Bookmark the permalink. Jack’s sweater is cute! I wish I was coordinated enough to knit! I was thinking maybe the fit was different because the fabrics were so different? Just a theory. Cute sweater I’m sure that Jack will look adorable in it for your annual pictures. BTW, your page loads fast at home on my old PC but very slowly at work on my high-speed Mac. Go figure. Same with other WordPress blogs. Cute vest! Looking forward to seeing the dress alterations. Too bad none of the bras did the trick. Love the sweater! You did an outstanding job. Can’t wait to see the model in it. Very cute sweater. I hope that little one will feel better again soon! That’s avery cute sweater for Jack. I do hope he is feeling better and looking forward to seeing that handsome little young man’s photo shoot. Ooo… the sweater looks great! I hope he feels better soon! Can’t wait to see your dress again!